Each year, communities all across Canada celebrate National Volunteer Week. The primary purpose of this specially designated week is to thank and honour people who donate their time to help others by supporting the causes in which they believe. Volunteer Week also serves to reinforce the human values that volunteering represents and increase awareness of the vital importance of volunteerism to our communities. 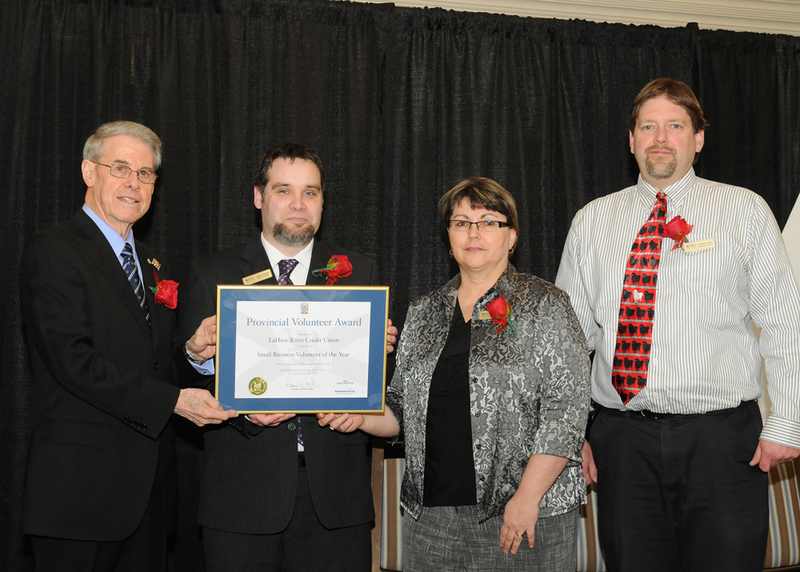 On April 15, 2013, LaHave River Credit Union was awarded the 2013 Provincial Small Business Volunteer Award. This one-time only achievement award is presented annually to a small business that has made significant contributions through support and encouragement of employee volunteerism and corporate support for community initiatives. The Provincial Volunteer Award was presented by His Honour Brigadier-General The Honourable J. J. Grant, Lieutenant Governor of Nova Scotia, to Corey Rogers, General Manager of LaHave River Credit Union. Pictured (left to right): The Honourable J. J. Grant, Lieutenant Governor of Nova Scotia; Corey Rogers, General Manager, LaHave River Credit Union; Debbie England, Business Development Manager, LaHave River Credit Union; Patrick Henry, Marketing/IT Co-ordinator, LaHave River Credit Union.